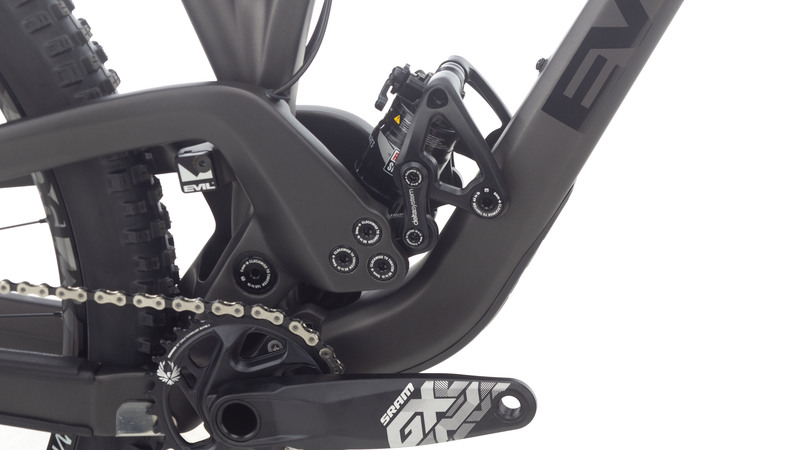 Your Evil Following will arrive expertly spec’d with a Jenson Exclusive SRAM GX Eagle build kit. 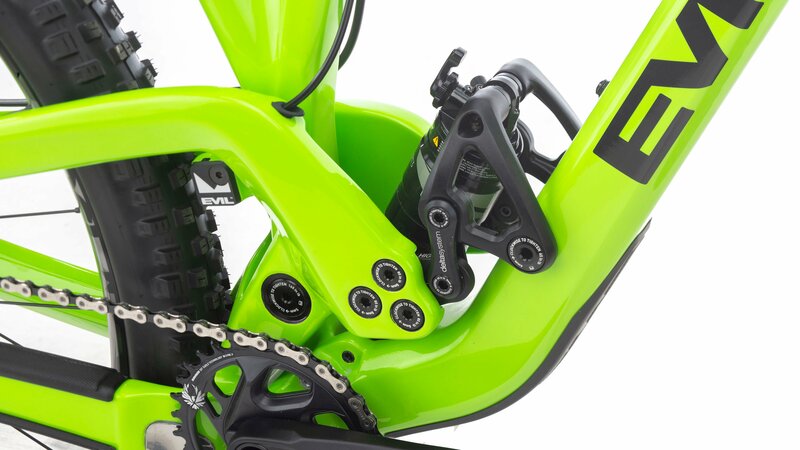 This makes for a tasteful blend of performance, reliability, and fun that can only be found at JensonUSA. 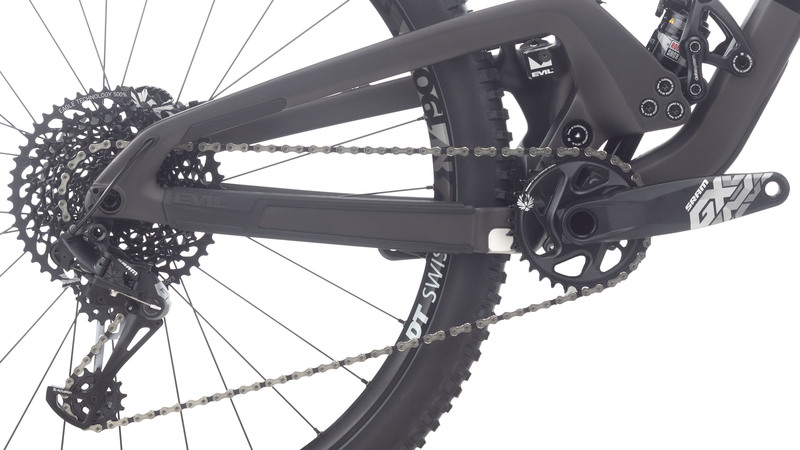 The SRAM 12-speed drivetrain and 10-50T cassette provide an ultra-wide range to climb steep and descend fast. 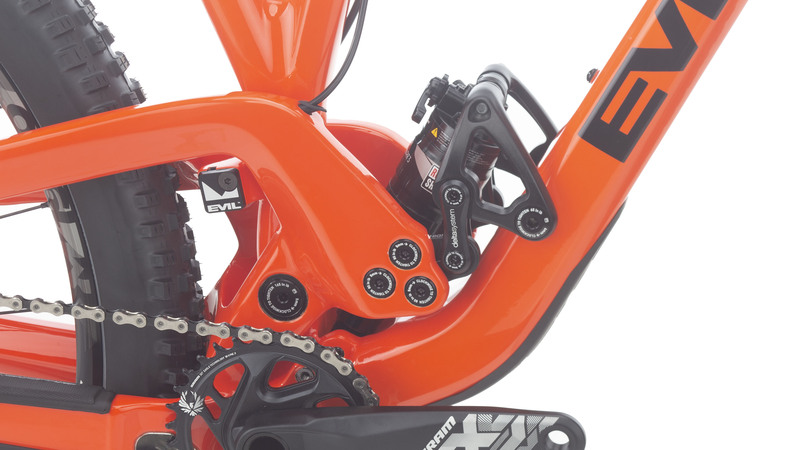 Shimano’s SLX hydraulic brakes offer ample stopping power for navigating tricky situations. 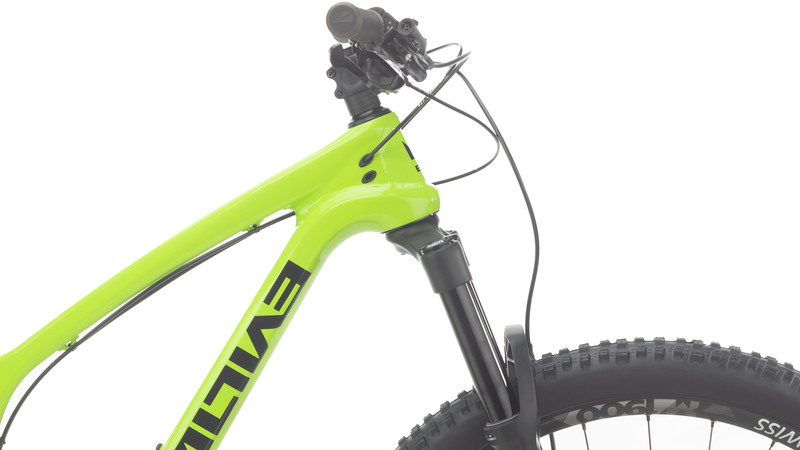 A Rock Shox Pike RC fork and Monarch rear shock smooth out the trail in front of you and a Race Face Aeffect cockpit keeps you in control at all times. 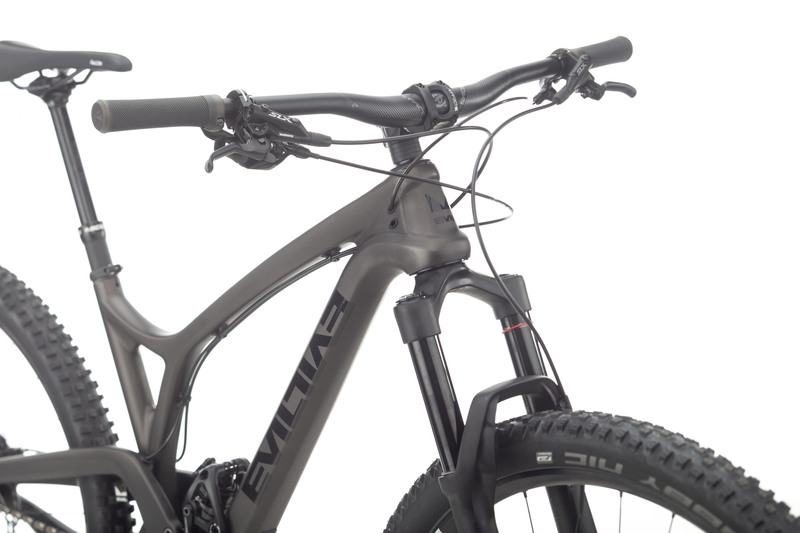 The Following frame is made with uni-directional one-piece carbon fiber and features integrated chain guides and cable routing. 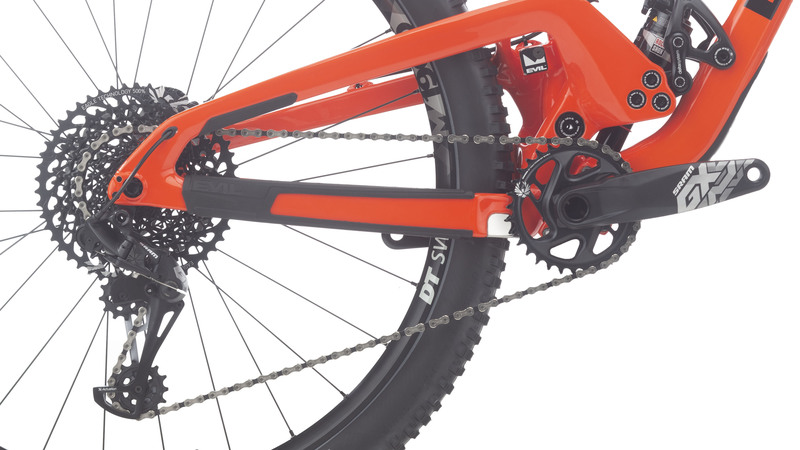 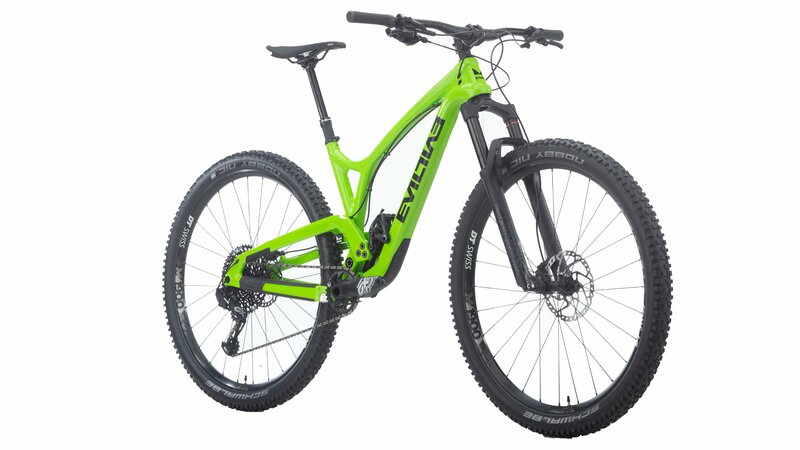 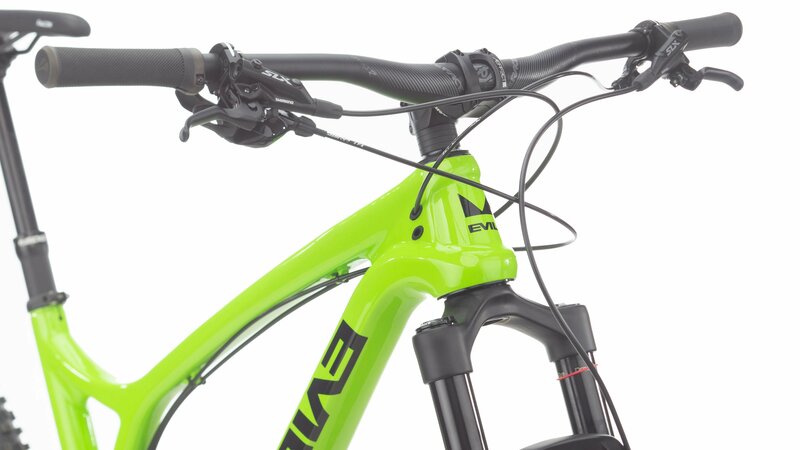 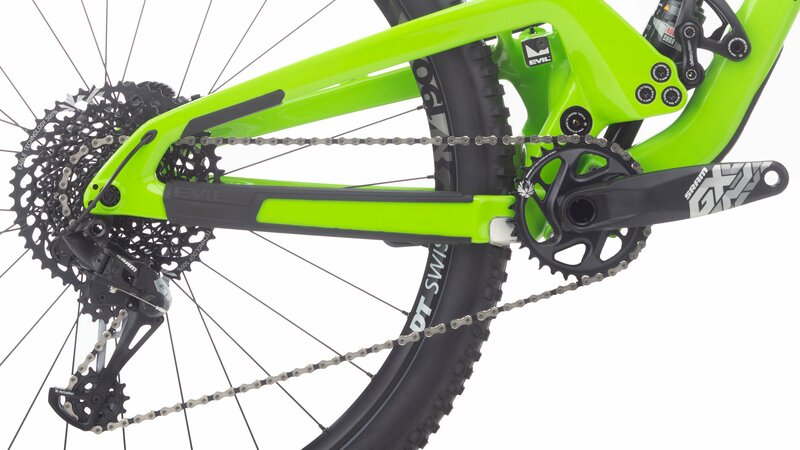 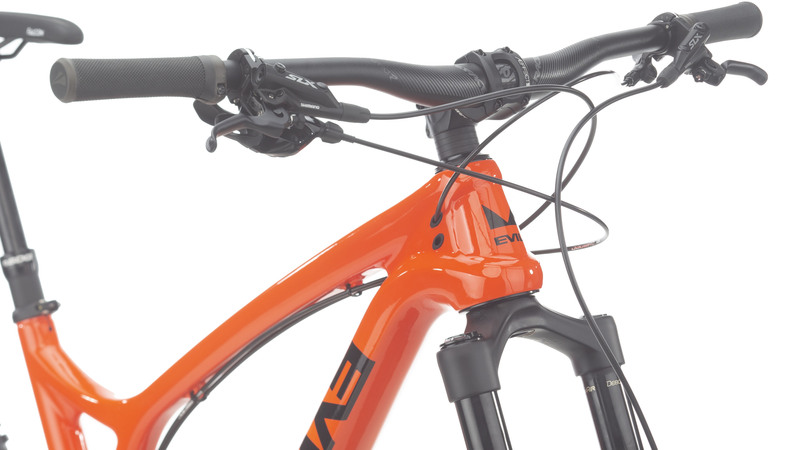 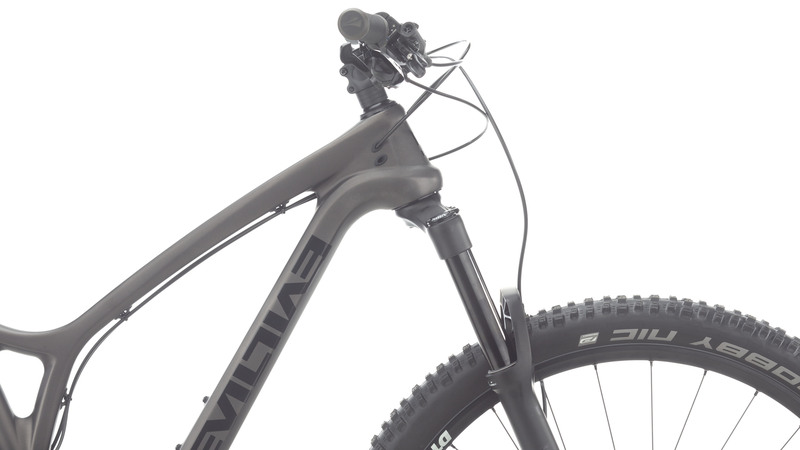 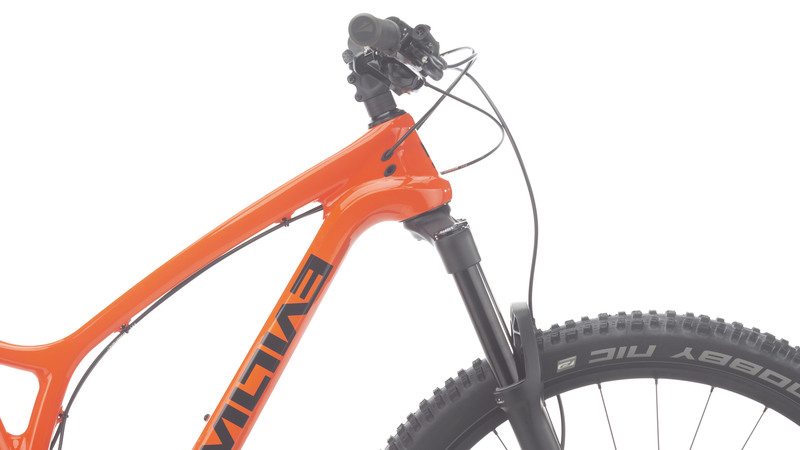 The downtube and chainstays feature rubber protectors, and the rear wheel thru-axle dropout is stiff and stable. 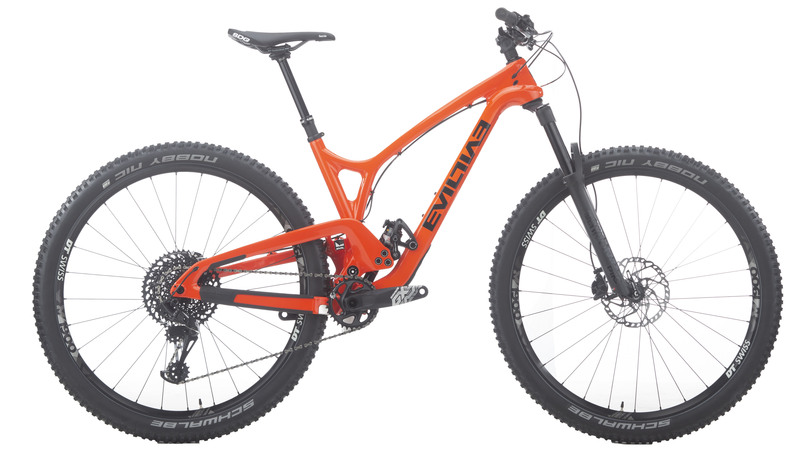 All I can say is buy this bike, you will freekin love it! 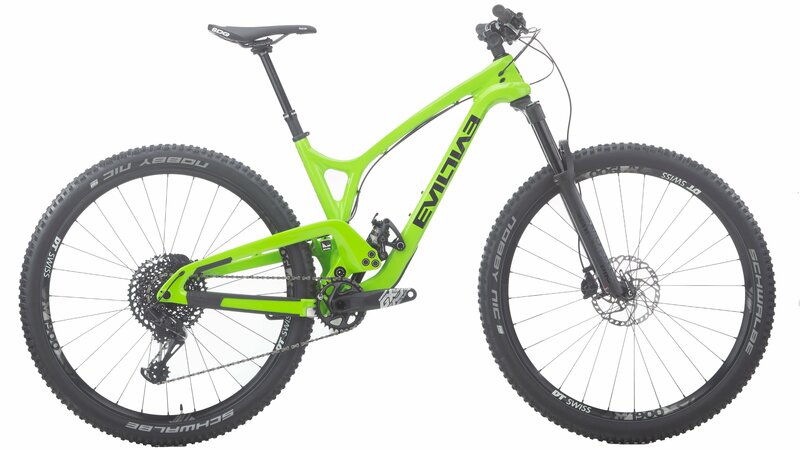 So what’s the diff between this spec and Spec-A?